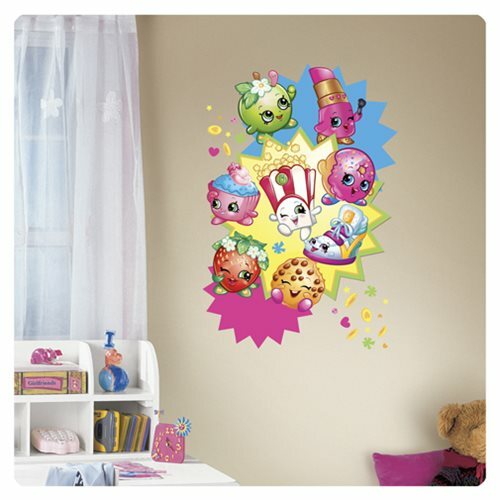 Bring the world of Shopville to your child's room with the Shopkins Burst giant wall decals by RoomMates! These wall stickers instantly add a fun and vibrant look to a room. Each wall sticker is removable and repositionable making them an easy decorating solution. To apply, simply peel and stick. That's it! Decal measures 22 1/2-inches wide x 32 1/2-inches tall when complete. Made in USA.